On New Year’s Day 1964, the first edition of Top of the Pops was broadcast on BBC Television. The timing could hardly have been better, coming just as British rock and roll entered its greatest and most influential period – within three months, the Beatles were occupying the top five positions in the American singles charts, and their international success was followed by a host of other groups, including the Rolling Stones and the Dave Clark Five, who were both featured on that first programme. Over the next decade virtually every major rock, pop act and soul act from Britain and America appeared on the show, and were captured by the camera of the official stills photographer, Harry Goodwin. He recorded the changing imagery of the era, as music progressed from beat to protest, from Motown and psychedelia to heavy metal and glam rock. 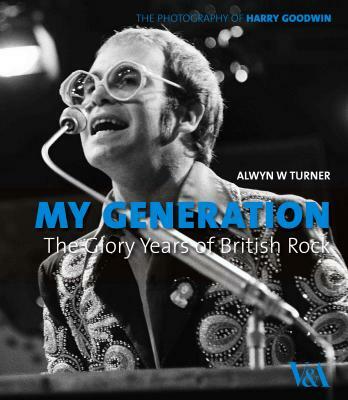 My Generation tells the story of the music that provided the soundtrack to the Swinging Sixties and the recession of the early-1970s, and includes classic images of the biggest names in rock history: from the Beatles, Bob Dylan and Pink Floyd to Michael Jackson, Rod Stewart and David Bowie.